In original and insightful ways, Caribbean writers have turned to Jewish experiences of exodus and reinvention, from the Sephardim expelled from Iberia in the 1490s to the "Calypso Jews" who fled Europe for Trinidad in the 1930s. Examining these historical migrations through the lens of postwar Caribbean fiction and poetry, Sarah Phillips Casteel presents the first major study of representations of Jewishness in Caribbean literature. 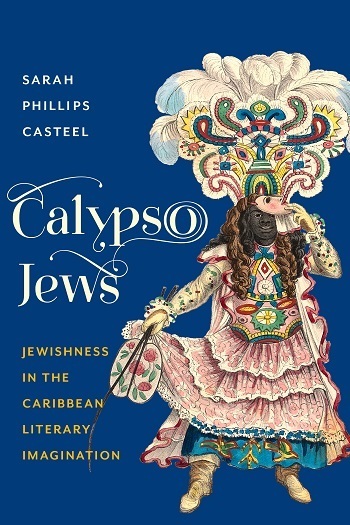 Bridging the gap between postcolonial and Jewish studies, Calypso Jews enriches cross-cultural investigations of Caribbean creolization. Caribbean writers invoke both the 1492 expulsion and the Holocaust as part of their literary archaeology of slavery and its legacies. Despite the unequal and sometimes fraught relations between Blacks and Jews in the Caribbean before and after emancipation, Black-Jewish literary encounters reflect sympathy and identification more than antagonism and competition. Providing an alternative to U.S.-based critical narratives of Black-Jewish relations, Casteel reads Derek Walcott, Maryse Condé, Michelle Cliff, Jamaica Kincaid, Caryl Phillips, David Dabydeen, and Paul Gilroy, among others, to reveal a distinctive interdiasporic literature. Casteel, S. (2016). Calypso Jews. Literature Now. Columbia University Press.